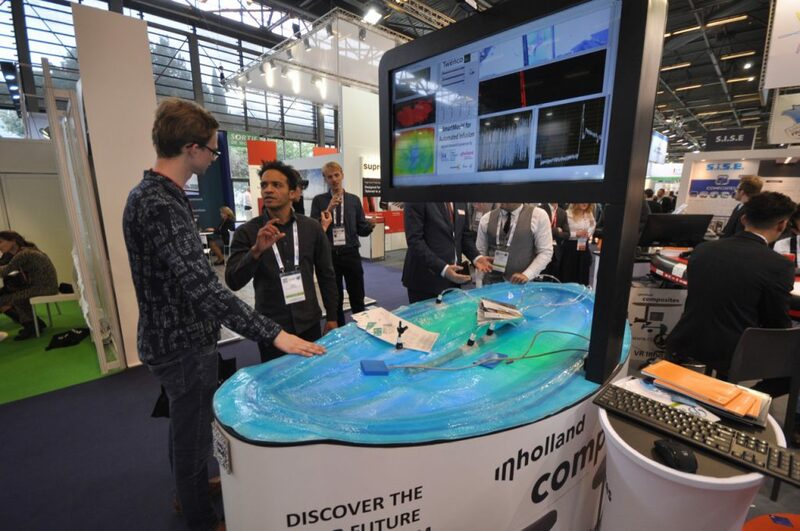 Inholland and NHL-Stenden presented their applied research results at the biggest composites exhibition worldwide on behalf of 15 SME’s and 3 research institutes. 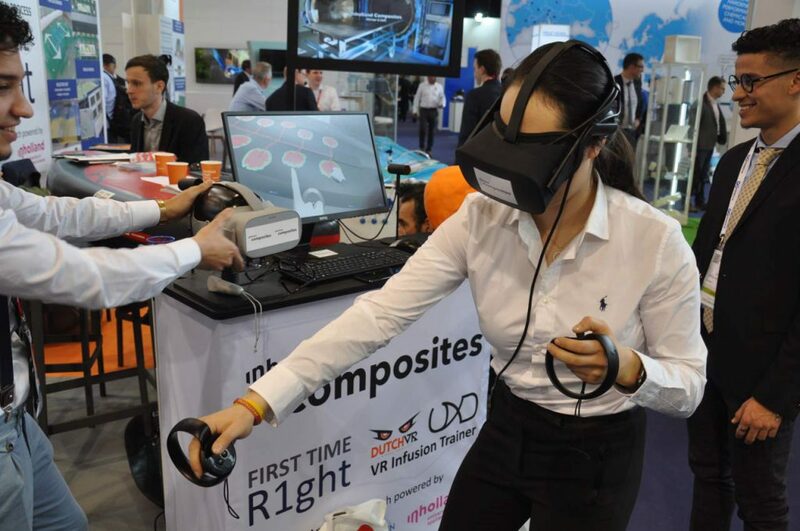 JEC World is an excellent opportunity to bring the First-Time-Right project to an end. After 2 years of hard work, the research is completed and a group of 20 people from Inholland and the NHL-Stenden traveled to Paris to present its results. 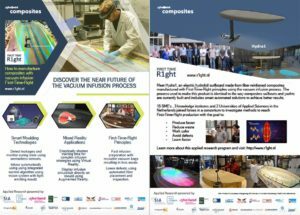 “How to manufacture composites First-Time-Right in small series using the vacuum infusion process” is the main question guiding this applied research project. 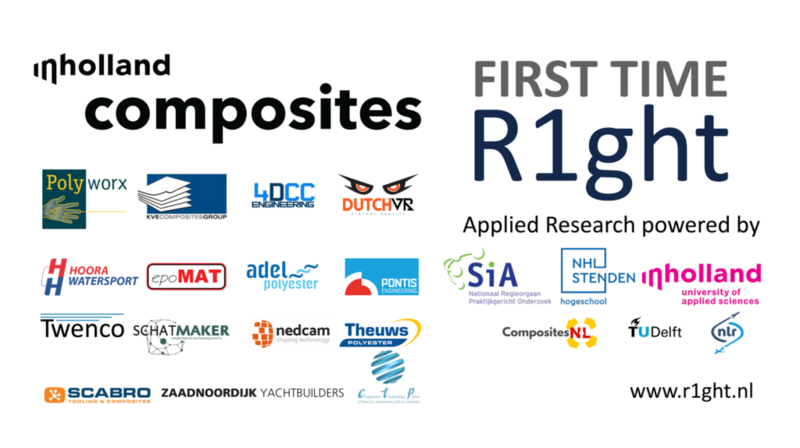 This consortium is focusing on the needs from Dutch yacht builders. Although these yacht builders belong to the most skilled composites manufacturers in the world, most of them are not benefiting the latest technological advancements which have become accessible in the last few years. 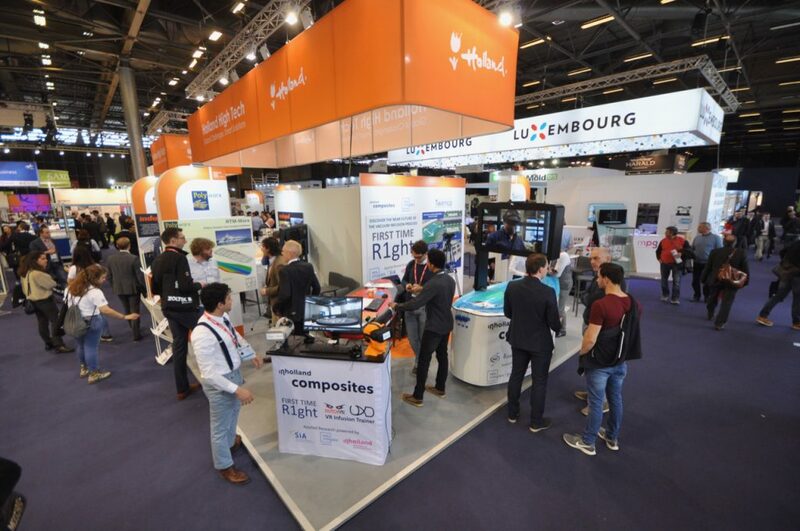 Embedding these technologies in smart automated solutions to achieve First-Time-Right production therefore became the primary focus and resulted in some proof-of-concepts which were presented in Paris during JEC World 2019. 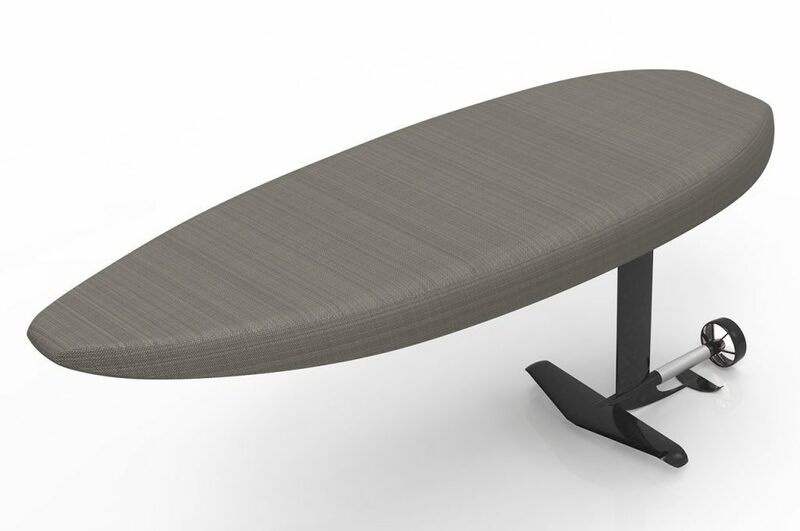 Meet Hydra1, an electric hydrofoil surfboard made from fiber reinforced composites manufactured with First-Time-Right principles using the vacuum infusion process. The process used to make this product is identical to the way composites sailboats and yachts are currently built and includes smart automated solutions to achieve better results. Using dielectric sensors from Twenco, will allow for contactless curing and process monitoring and new NDT methods. The smart silicon vacuum bag from CT Platon will reduce the manual labour significantly during the preparation process and an integrated Infusion front flow control system (controlled by machine vision) will automatically run the infusion. 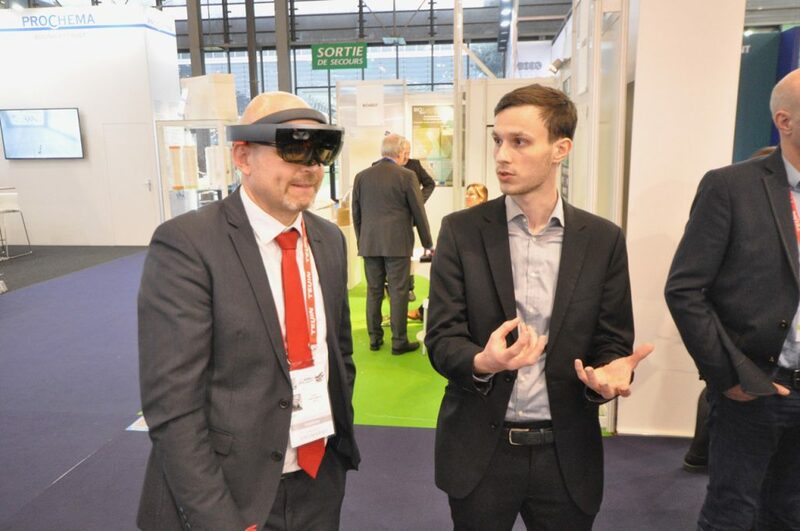 The entire system can be controlled, monitored and adjusted by the voice controlled Microsoft Hololens powered by technology from DutchVR and Polyworx. An advanced light emitting mould is able to provide similar visual feedback like the HoloLens as the glass-fibre mould is translucent. This will make it possible to display the orientations on the mould during fibre placement or project the simulation model on the product in realtime before or during the infusion. This makes the HoloLens basically a smart production assistant. 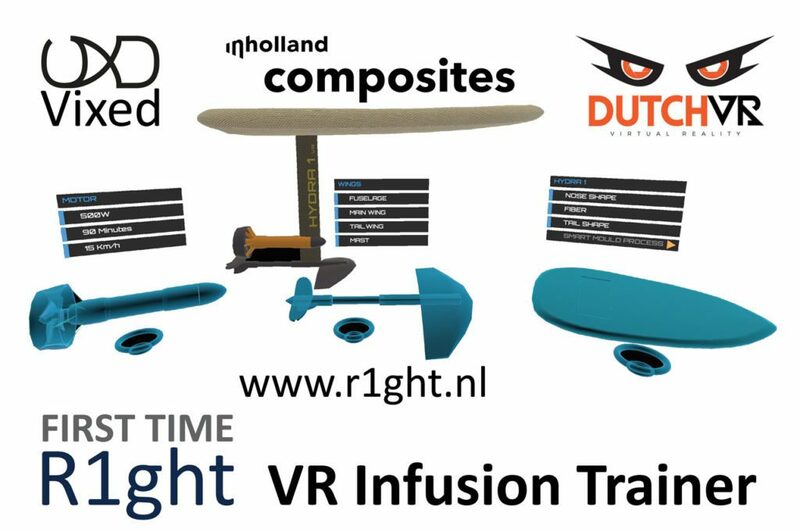 To prepare for these complex infusion strategies a Virtual Reality trainer was developed by VixedVR, a new startup from Aeronautical Engineering students who developed a Minimum Viable Product during their Engineering&Entrepreneurship minor at Inholland in Delft. Inholland Composites wants to thank all project participants for their great efforts. First-Time-Right was an enormous valuable and exiting project and we are convinced more good initiatives will come from this.